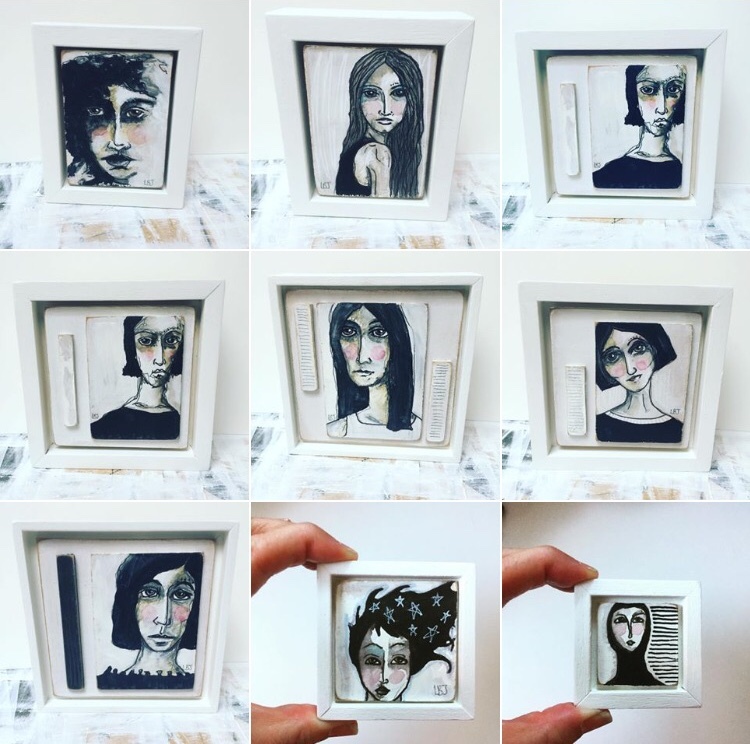 Drawing 100 women in year of the woman. This blog has been a long time coming! You know when you faff and avoid doing something that you actually really want to do but, for some reason you don’t know where to start? Well, this blog has been lurking in the back of my mind and on the pages of several notebooks for months. I’m going to start off with a short post to hopefully, break the “Blog Drought” as I like to call it. Thankfully I am a little more proactive with drawing than I am with writing. Here they are all ready and waiting in an impossible Jenga stack on my desk. Now, my plan was to blog about the challenge and add progress photographs and a little information here and there from the very start of the challenge. But, I have already started drawing and painting the portraits. 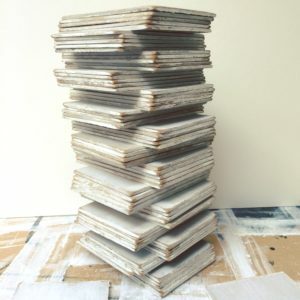 This stack of little prepared surfaces was far too tempting! I’m playing catch up with the blog because of my very skilled avoidance techniques. I said in the beginning that I’d keep this first post short and I will. Now that I’ve made the jump into writing about what I am doing (with encouragement and technical support from my daughter) I am hoping that the next posts will come much more freely. http://loujohnsartist.com/wp-content/uploads/2018/10/IMG_5190.jpeg 744 750 Lou http://loujohnsartist.com/wp-content/uploads/2017/05/LJ_Logo-300x156.png Lou2014-08-24 18:56:262018-10-29 21:09:21Drawing 100 women. I bought 3 of your women last night. They look beautiful! I have sent you a link via email, if you cannot open it let me know and I will send you the picture another way.